American Crew has been around for over 20 years. It's more than just a regular hair care brand. It is an important characteristic of male hair care history. American Crew is the premier brand of hairdressing salons and it was created especially for men and the stylists that men trust. American Crew's history begins in 1994 when a stylist named David Raccuglia started a revolution in hair care for men. He went in to a distributor's office in Chicago and wanted 25 000 to be able to produce the first edition of the American Crew shampoo. David Raccuglia dared to do this because he felt that at this time there was an important movement in the way of hair care for men. He foresaw a future when men would give much attention to their appearance and he knew that men would not want to lose their masculinity in the process. This was the beginning of the history of American crew. Today there are dozens of product lines but according to American Crew it was those who started this movement. In the hair care industry for men, David Racciglia is a legend and what he founded continues to conquer new ground on the market. American Crew really helps barbers and stylists to themselves and their creations to a new level. David Raccuglia became the fully qualified hairdresser in 1977, but his career actually started to go on a barberarutbildning. In the 1980 century, the courage was that women would have very short hair and men often had longer hair than women. David Raccuglia opened a hairdressing salon for men, where he offered both hair care and beard care. 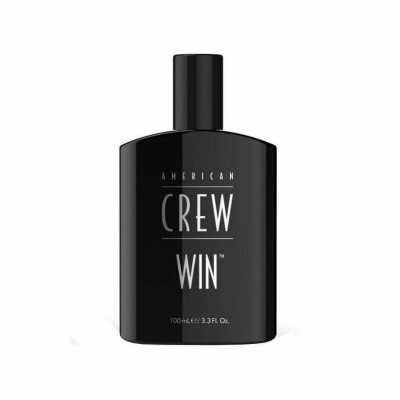 Today, American Crew is the leading professional hair care brand for men. American Crew provides men with complete hair and skin care ranges containing shampoo, conditioner, hair styling products (hair gel, wax, etc. ), shower gels and shaving products.